Maude Neiding Park has two entrances, north off Cleveland Avenue and south off Park Avenue. 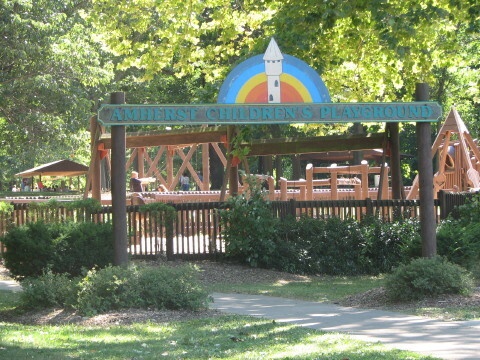 The park has a large playground for older children, a new play area on the south side of the park for the younger ones and four picnic shelters that can be reserved by contacting the Mayor’s office. The Anna Schmauch Memorial Pool is located near the Cleveland Avenue entrance. The Park Avenue entrance is open year round for parking. The Cleveland Avenue entrance is only open between late March and early November. 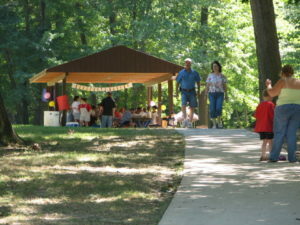 Four picnic shelters are available for rental in Maude Neiding Park. Reservations are accepted from opening day through closing day of the pool. Reservations are made at the Mayor’s office located at 206 South Main Street. Shelters are open to the public are available on a first come first serve basis for the remainder of the year. There are no restroom facilities available before the pool opens or once the pool closes. All Shelter Rental Reservations are $50 per day. 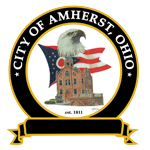 For additional information, call the Mayor’s office at (440) 988-4380 or send an email inquiry. Please note: All shelter rental fees must be paid in full thirty (30) days in advance of reservation. A permit should be on your person when using the facility. A “Reserved” sign with your name will be placed on the shelter the morning of the reservation. Should you arrive and find someone using the shelter on your reserved day, please notify the pool manager to contact someone from the park department. The one holding the permit will have usage of the shelter. This permit is not transferable and the fee will not be refunded. Within limitations another date may be set providing the rescheduling is done before the actual date the shelter is scheduled to be used. The shelter shall be open for inspection by any authorized employee of the Park Board for the purpose of assuring the use of park property in compliance with law and order. In case this permit is issued to a group of persons under age, the adult receiving this permit on their behalf assumes all responsibility and personal liability for the breakage, destruction or removal of park property by any member of the group. Adult supervision of a children’s group is required at all times. The facility being reserved shall be left in the same condition exiting as upon the user’s arrival. Rules and regulations prohibit the drinking of intoxicating beverages in the park. Vehicles are prohibited to drive thru, drop off, or park at any of the shelters. Violators may be subject to arrest.